Welcome to North Fork Anglers, Yellowstone and Wyoming’s premier fly fishing shop. Conveniently located in Cody, WY, we are the one stop shop for all of your fly fishing needs. Our friendly, courteous, and knowledgeable professionals offer unrivaled guided fly fishing trips. We also have a beautiful retail store that carries fly’s fishing licenses, rods, fly lines, reels, and fly boxes. North Fork Anglers carries apparel from major name brands such as Sage, Orvis, Simms, and many more! We’re endorsed through Orvis and Trout Unlimited, and members of the Cody Chamber of Commerce, the NFIB, and a life member of Trout Unlimited, Call with questions, and make sure to ask about our current specials and promotions. Featured on ESPN, TNN Outdoor and other fly fishing shows, North Fork Anglers is widely recognized for having the most courteous and experienced fly fishing guides and fly shop staff in the Rocky Mountains. 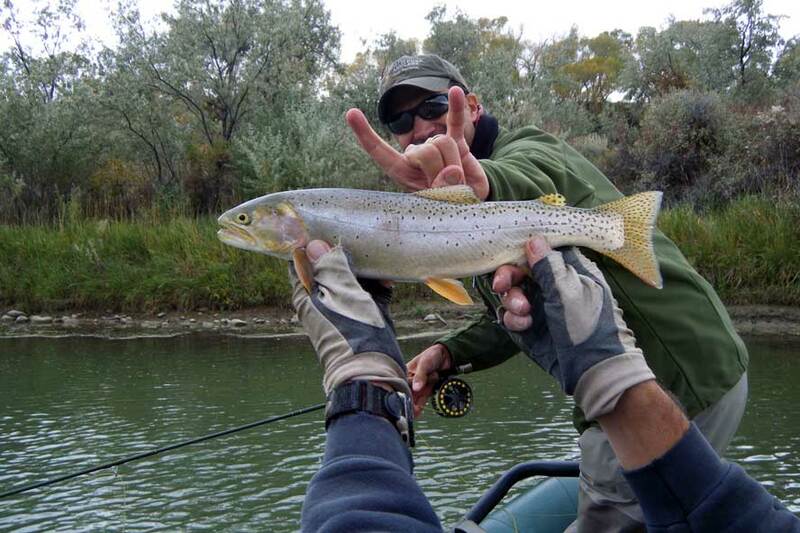 North Fork Anglers provides Wyoming fly fishers with the latest information on hatches, conditions, and the right equipment before heading out onto Yellowstone and Wyoming waters. North Fork Anglers Fly Shop is located beneath the historic “leaping rainbow trout” sign in downtown Cody, Wyoming. A true mix of the old time western fly shop flavor and friendliness lies inside our doors. Come in or call to chat with us about the latest technology in fly fishing gear, innovative flies,and guided trips in wonderful Wyoming.